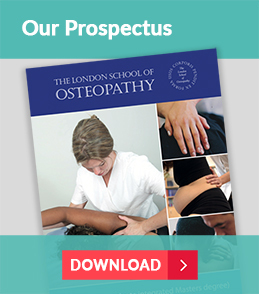 The London School of Osteopathy has been welcoming students from the UK and beyond for over 70 years. We pride ourselves on delivering high quality osteopathic training both in the classroom and in our osteopathic clinic. Osteopathy students are enrolled on the undergraduate Masters of Osteopathy Degree (MOst) accredited by the General Osteopathic Council and validated by Anglia Ruskin University. 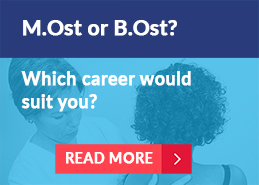 In the penultimate year of studies there is the option to transfer to qualify with a Bachelors of Osteopathy (BOst). 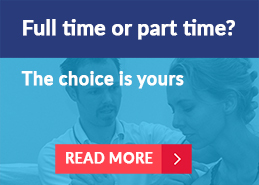 Whichever route you choose at the end of your studies you will become a fully qualified osteopath with all the necessary skills and confidence to enable you to start a rewarding career in osteopathy. Over 98% of our previous students are now working as osteopaths. We offer a friendly and inclusive approach to teaching. Small class sizes mean you quickly get to know both your lecturers and fellow students. Our osteopathic clinic in East London enables you to start gaining valuable hands on experience right from the first year of study. Our 2018 accreditation inspection by the QAA resulted in unconditional approval.